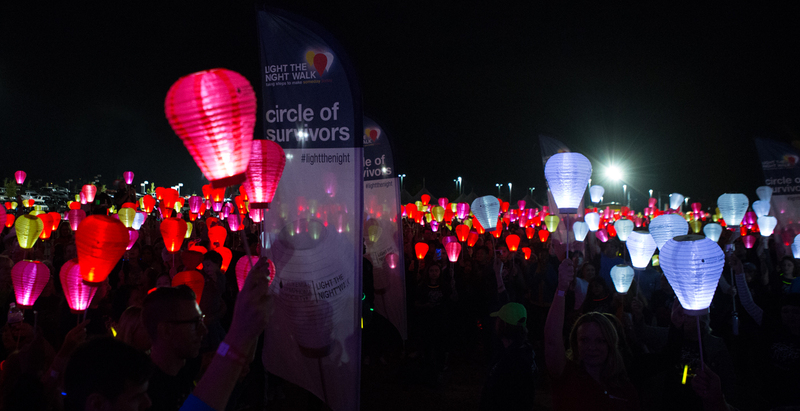 The Leukemia & Lymphoma Society's Light The Night Walk funds treatments that are saving the lives of patients today. LLS is making cures happen by providing patient support services, advocating for lifesaving treatments and pioneering the most promising cancer research anywhere. And it's all happening now. Not someday, but today. Each year friends, families and coworkers form teams to raise money in support of our mission. This year, in the fall, these teams and their communities Light The Night at our walks where we gather together to celebrate, honor and remember those touched by cancer.